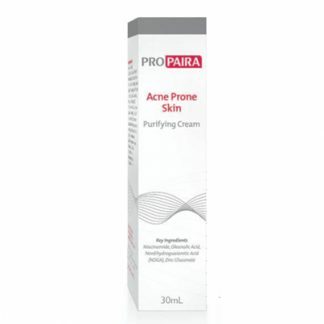 My Skin Pharmacy carries a range of anti-acne products ranging from anti-acne cleansers, Vitamin A creams, through to specialist prescription tablets such as Vitamin A tablets. No matter how severe your acne is, My Skin Pharmacy will find a solution. We stock top of the line products and prescription creams and tablets. Our Acne Solutions Clinic consists of a team of Specialist Nurses, Dermatologists, make up artists and pharmacists, all dedicated to the treatment of your acne. Treating the cause of acne is essential if treatment is to be effective. Vitamin A creams can reduce clogged pores, blackheads and whiteheads. 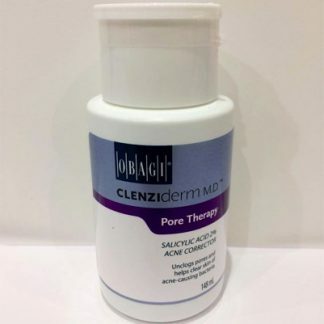 Early treatment of acne will prevent scarring. The cause of acne is due to many factors including hormone, diet, build up of bacteria, clogged pores, and excessive oil production. Finding the right combination of products can address all these issues and prevent break outs. Make up choice is important if you have acne prone skin. Letting your skin breathe and using make up that does not clog pores should be part of your acne management plan. Acne is a condition whereby the hair follicle becomes blocked with dead skin cells and sebum (oil). There are three main causes of acne; excessive shedding of skin cells, overproduction of sebum and the build-up of bacteria. These blockages are also known as comedones. Comedones come in two forms white comedones (white heads) and black comedones (black heads). These blockages that bulge are the typical physical characteristic of white heads. Once they come to the surface and darken, they are known as black heads. 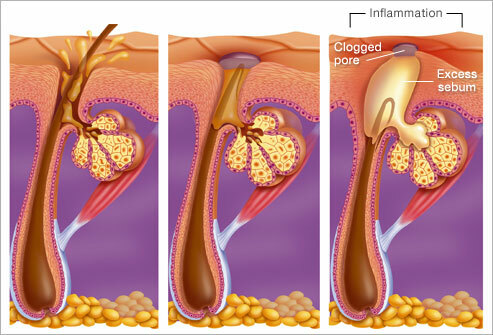 As further inflammation occurs, they become pimples. These are characterised by the red, raised bumps with often a white centre and sometimes quite severe inflammation below the surface. In most cases there is a bacterial component involved at this stage. 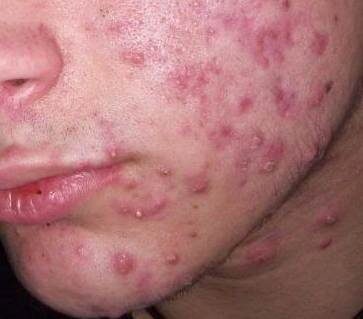 WHAT IS THE BEST TREATMENT FOR MY ACNE? The best treatment for acne will depend on the severity of the acne. Most mild to moderate cases can be controlled with effective skin care products whilst moderate to severe cases need specialist assessment from a dermatologist. Great acne products will target all 3 aspects of the causes of acne. 2. La Roche-Posay Effaclar Duo Plus: Apply treatment serum to acne prone spots or whole face if desired. 1.Teen Aspect Cleanser: Apply to entire face morning and at night. 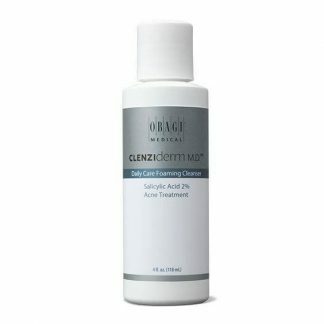 2.Teen Aspect Toner: Apply to cotton pad and apply to entire face after using the cleanser. 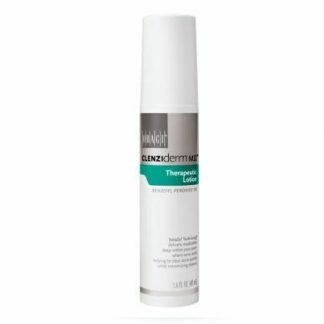 3.Teen Aspect Facial Lotion: Apply to entire face until absorbed twice daily after using toner. 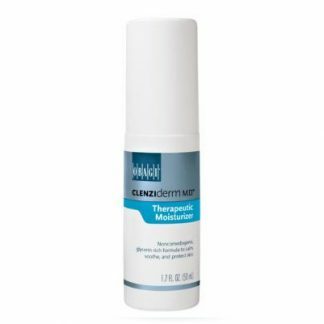 4.Teen Aspect Stop Spot Treatment: Apply to affected spots as needed. WHY IS USING A CLEANSER AND CORRECT MOISTURISER IMPORTANT IN ACNE MANAGEMENT? Daily rituals of cleansing the skin and removal of excess skin are important so that the pores do not get blocked. A moisturiser is important so that the skin can maintain its natural skin barrier function and balance the pH of the skin. This barrier function is important so that we keep foreign particles out and keep the skin supple and hydrated. It is essential that you use a non-comedogenic moisturiser as a cream too rich can clog the pores. 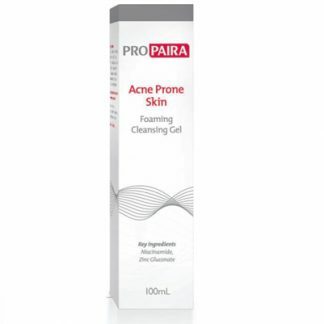 It is important that products target the various aspects of the cause acne. We want to reduce the excessive oil production of the skin, exfoliate the skin and kill the bacteria that may be causing the inflammation. 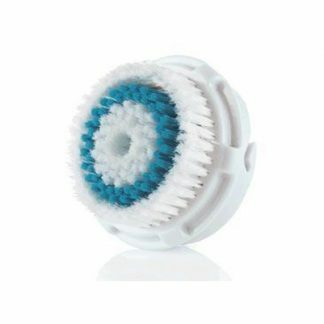 Chemical exfoliants are preferred, as this is a much more gentle way of exfoliating the skin without causing physical trauma from beads and granules. Exfoliation lifts away the dead skin cells and prevents the pores from being blocked. If you are on medication, it is essential that you check with a skincare expert before you use any type of exfoliant. Some can create severe irritation and dryness. A fantastic weekly exfoliant is Aspect Fruit Enzyme Mask. It contains fruit enzymes and AHA’s to help lift off the dead skin cells. 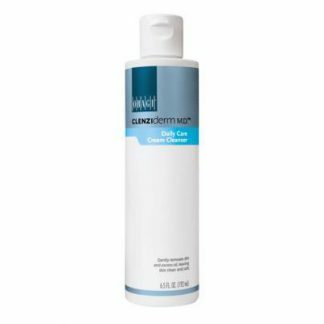 If you have lightly blemished skin or normal combination skin, we would encourage the use of this product once or twice weekly as a great skincare routine, to keep your skin looking radiant, youthful and glowing. 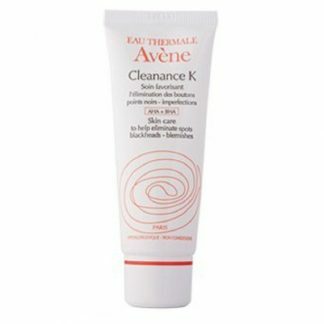 WHAT SHOULD I LOOK FOR IN A MAKE UP IF I HAVE ACNE PRONE SKIN? The choice of make up is an important step in your acne management program as the wrong choice maybe causing and worsening your acne. Using incorrect make up can clog pores and irritate your skin. This can lead to blackheads, whiteheads, pimples, and outbreaks. There are different grades of mineral make up. Make sure you look for a high grade mineral make up that is free from preservatives, talcs, fragrances and heavy metals. The major benefit is its non-comedogenic effects. This allows the skin to breathe naturally and prevents the blockage of the pores which cause acne. There is the preconception that mineral make up will not provide coverage. High grade mineral make ups are used by make up artists around the world for celebrities and models. It’s about starting with the correct mineral foundation and dusting with the powders. Mineral make up does not have to be bland. A quick touch of mineral blush and setting of a spritzer will have you ready for any evening party. There is a low risk of having chemical and photo-sensitivities. As an added bonus, look for mineral make up that has a SPF factor, so that in the long term you are protecting yourself from UV damage. Do your research as not all mineral make up is made the same. A high grade mineral make up will be backed by research and testing. WHAT IS ROACCUTANE OR ORATANE? Roaccutane or Oratane (Isotretinoin) is a Vitamin A tablet prescribed by Specialist Dermatologists. 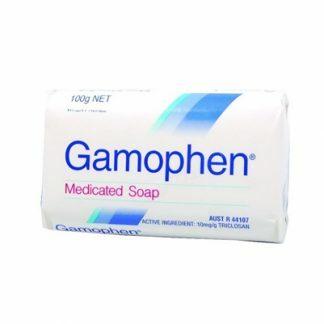 This tablet is effective in the treatment of severe acne, however it does have side effects. Careful monitoring and follow up with a dermatologist is essential. Roaccutane has been around since the 1980s and has been used to treat over a million cases of acne Worldwide. The typical course of Roaccutane/ Oratane is around 6-12 months. What can I do to reduce acne scarring?